Three UK secured an exclusive deal to carry the new HTC Desire Eye and it will carry the HTC RE camera as well. Not exclusively though, EE will also offer the action camera. The RE camera will be available in White, Navy and Orange (exclusive to EE). 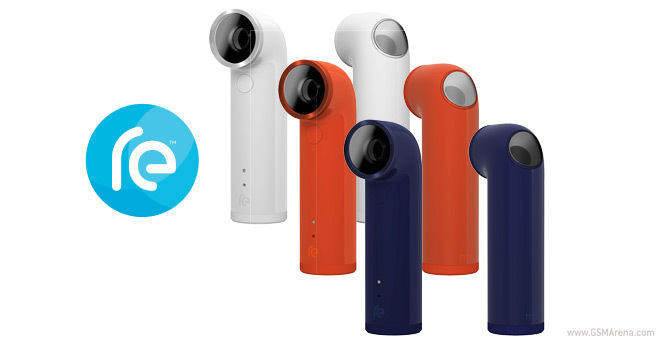 HTC RE camera will arrive in early November and will cost £170 ($275 compared to $200 in the US). It will work on any Android 4.3 and above and iOS 7 and above smartphone with the new Eye Experience app. Basic specs include 16MP stills, 1080p@30fps video and IPX7 water resistance ratings. You can read our hands-on for first-hand impressions of the HTC RE camera.